Recombinant protein–based medicinal products and modern cell-based vaccines have a very strong safety history with respect to viral and microbial contamination. However, virus contamination incidents do occur occasionally in manufacturing processes, and they can consume many resources and be expensive to rectify. The root cause of contamination incidents in recent years is most likely the use of contaminated raw materials. These include bovine serum contaminated with reovirus, epizootic hemorrhagic disease virus, Cache valley virus or vesivirus 2117; porcine trypsin contaminated with porcine circovirus; and other media components contaminated with minute virus of mice (MVM). In those cases, no virus was detected through routine raw-materials screening because of limitations either in the sensitivity of assays used or in the amount of material screened. Components of some materials (such as antivirus antibodies that may be present in bovine serum) can also inhibit virus detection. Metagenomic techniques (such as massively parallel sequencing or virus nucleic acid chips) have detected nucleic acid sequences for new viruses that may be more prevalent in serum batches than such viruses that are detected in classical quality control assays used by serum suppliers (1, 2). The European Medicines Agency (EMA) issued two guidance documents in 2013 addressing the production and quality control of bovine serum and porcine trypsin. At the end of May, the agency issued a revision to its guideline on the use of bovine serum in manufacturing human biological medicinal products (3). And in March, the EMA issued a new draft guideline on the use of porcine trypsin used in the manufacture of human biological medicinal products (4). The revised bovine serum guidance, effective on 1 December 2013, covers the types and sources of serum, preparation of batches, certificate of analysis, testing for adventitious agents, tests for toxicity-cell growth, viral inactivation, and dossier requirements for marketing authorization/variations. Specified viruses for which infectivity assays are required in the EMA guidance are similar to those required in the 9 CFR test. If an infectious virus is detected in a batch of serum, then that batch should not be used in the manufacture of a medicinal product, with the exception of bovine viral diarrhea virus (BVDV). Serum should be tested before any viral inactivation treatment is performed. Because BVDV is a highly prevalent infection in cattle, and the presence in serum cannot be completely eliminated from all processes, it is possible to use this serum as long as the titer of BVDV is below the level that has been shown to be effectively inactivated. To ensure that BVDV can be detected, serum should be screened for the presence of anti-BVDV antibodies. The first major change in the revised guideline is removal of the allowable limit of no more than two logs of BVDV infectivity. Manufacturers should assess the effects of anti-BVDV antibodies on their ability to reveal any residual virus in the product after inactivation. The guidance document does not mention testing for the presence of neutralizing antibodies to any other virus. Antibodies to vesivirus 2117 (which has caused contamination events at both European and US manufacturing sites) have been detected in the serum from asignificant percentage of USA cattle (5). That could possibly mask the detection of the virus. The original guidance document suggested that manufacturers should also test serum for the presence of infectious bovine polyoma virus (BPyV), which has been detected by polymerase chain reaction (PCR) in most batches of bovine serum. Following comments to the guideline from serum suppliers, the EMA added a footnote indicating that, for the time being, such testing is not required. The agency claims that infectivity assays are difficult to interpret and not widely available. The agency indicates that this guidance will be reviewed if further data become available or a contamination event occurs. Nonetheless, the guidance document still indicates that the EMA expects manufacturers to be aware of emerging viruses and take appropriate action to detect them. In recent years, genetic material from a number of new viruses has been detected in bovine serum by massively parallel sequencing: notably bovine parvovirus 2 and 3, bovine adeno associated virus 2, bovine norovirus, and bovine kobuvirus. The genomes for those viruses are present in a high proportion of batches, but infectivity assays for them have yet to be developed. Following detection of porcine circovirus contamination in two rotavirus vaccines (6) — probably originating from contaminated porcine trypsin — the EMA announced in 2012 that it would draft a guidance document on the use of porcine trypsin. That draft guidance was published on 1 March for consultation until 31 August 2013 (4). It covers testing for adventitious agents, manufacture, validation of virus-reducing capacity of a manufacturing process, quality controls, use of alternative reagents, and risk assessment. Although trypsin should be sourced only from pigs that are fit for human consumption, contamination of animal-derived material with infectious virus still poses a risk. So pooled starting material should be tested before any virus inactivation/ removal steps. Testing of individual pancreatic glands, however, is not considered possible for economic and organizational reasons. Because frozen pancreatic glands are usually directly extracted into alcohol-containing solutions, the guidance does not define the exact point of the process at which to test for infectious virus. That point should be determined and justified. A large number of porcine viruses have the potential to infect humans or replicate in human and primate cells. So a general in vitro virus assay should be performed using two detector cell lines (Vero and porcine cells). Virus replication would be detected through viral cytopathic effect and/or hemadsorbtion. The guidance suggests that specific tests for porcine viruses that are not detected by a general cell culture assay should also be considered following a product-specific risk analysis. PCR assays for stable viruses such as porcine circovirus and hepatitis E are examples of specific tests that should be considered for all trypsin batches. Trypsin manufacturers should incorporate two complementary virus-reduction steps into their manufacturing processes unless otherwise justified. Examples of effective virus-inactivating steps are low pH treatment and gamma or UV-C irradiation. Such steps should be validated as described in the EMA guidance on virus validation studies (7). In addition, trypsin manufacturers should incorporate validated cleaning measures to minimize the risk of batch-to-batch cross contamination with infectious viruses. manufacture of medicinal products, it is expected that the company would analyze associated risks using the principles outlined in European Pharmacopoeia 5.1.7 Viral Safety. This assessment would cover the sourcing and manufacture of the trypsin and its use in manufacturing processes. The guideline is for prospective implementation. However, in the light of reported contamination events, the EMA recommends that manufacturers reassess the virus safety of authorized live-virus vaccines that use porcine trypsin in their manufacturing processes. These two EMA guidelines define expected approaches that should be taken to minimize the risk of virus contamination through use of the animal-derived raw materials described above. Industry and regulators are also concerned about contamination events — such as MVM contamination of Chinese hamster ovary (CHO) cells — that can arise through contamination of other raw materials or components of cell culture media. 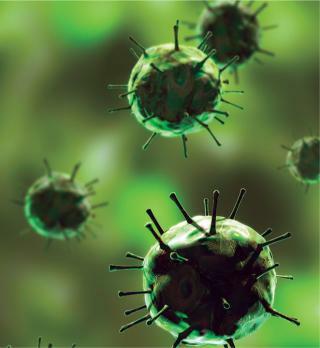 Companies are evaluating the potential of incorporating virus-inactivating steps into their manufacturing processes. Strategies include gamma irradiation, UV-C irradiation, high-temperature– short-time (HTST) treatment of raw materials, and the use of virus-removal filters to reduce the risk of virus contamination in raw materials. Although the use of those processes are not described in any recent regulatory guideline, their implementation is in line with the expectations detailed in ICH Q5Athat potential viral contamination should be controlled by the selection and testing of raw materials, including media components, for the absence of viral contaminants. Dr. Martin Wisher is senior director of regulatory affairs at BioReliance Ltd., Todd Campus, West of Scotland Science Park, Glasgow, G20 0XA, Scotland; 44-141-946- 9999, fax 44-141-946-0000; martin.wisher@bioreliance.com; www.bioreliance.com. 1.) Allandar, T. 2001. A Virus Discovery Method Incorporating DNase Treatment and Its Application to the Identification of Two Bovine Parvovirus Species. Proc. Nat. Acad. Sci. 98:11609-11614. 2.) Onions, D, and J. Kolman. 2010. Massively Parallel Sequencing, a New Method for Detecting Adventitious Agents. Biologicals 38:377-380. 3.). Guideline on the Use of Bovine Serum in the Manufacture of Human Biological Medicinal Products. 5.) Kurth, A. 2006. Prevalence of Vesivirus in a Laboratory-Based Set of Serum Samples Obtained from Dairy and Beef Cattle. Amer. J. Vet. Res. 67:114-119. 6.) Victoria, JG. 2010. Viral Nucleic Acids in Live-Attenuated Vaccines: Detection of Minority Variants and an Adventitious Virus. J. Virol. 84:6033-6040. 7.). Note for Guidance on Viral Validation Studies: The Design, Contribution, and Intepretation of Studies Validating the Inactivation and Removal of Viruses.